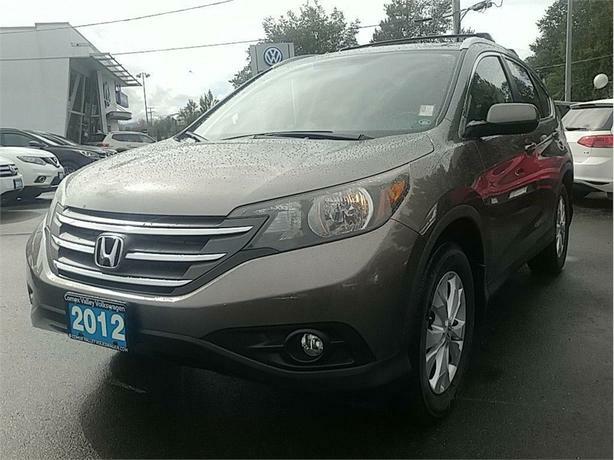  Log In needed $24,888 · 2012 Honda CR-V EX-L FWD SUPER CLEAN ! KBB.com Brand Image Awards. Only 49,674 Miles! Boasts 31 Highway MPG and 23 City MPG! This Honda CR-V boasts a Gas I4 2.4L/144 engine powering this Automatic transmission. XM satellite radio, Vehicle Stability Assist (VSA) w/traction control, Variable intermittent windshield wipers. This Honda CR-V Features the Following Options Tire pressure monitoring system, Tilt & telescopic steering column, Steering wheel-mounted audio, cruise & phone controls, Side-impact door beams, Security system, Roof rails, Retractable cargo cover, Remote fuel filler door release, Remote entry system, Reclining leather heated front bucket seats -inc: 10-way pwr driver seat, driver pwr lumbar, adjustable active head restraints. See What the Experts Say!As reported by KBB.com: While a bounty of changes inside and out endow the 2012 Honda CR-V with a new level of user-friendly appeal, this latest incarnation retains its signature car-like driving feel and superb flexibility while delivering even better fuel economy. Visit Us Today For a must-own Honda CR-V come see us at Comox Valley Volkswagen, 401 RYAN RD, COURTENAY, BC V9N 3R5. Just minutes away!